While reading though a recent issue of Women’s Health, a few things really spoke to me and I wanted to share some thoughts with you. There is still a lot of misleading information about what gluten is, what it does to your body and who should be avoiding it. I am not a fan of anyone going on a “Gluten-Free” diet, unless of course you are part of the 1% of the population that actually has celiac disease. That does bring to question why gluten free is so popular and mainstream if only 1% of the population suffer from this serious genetic autoimmune disorder where the ingestion of gluten leads to damage in the small intestine. Some say that gluten causes inflammation so simply ditching the gluten makes a difference. Others claim that cutting things like gluten out of your diet can help lose weight. In that same issue of Women’s Health, it says most of these claims have scant, if any evidence, according to Siddhartha Angadi, Ph.D., an assistant professor of cardiovascular physiology at Arizona State University. Most people, in fact, have the opposite affect when eliminating gluten and they actually gain weight. “Gluten-Free” doesn’t mean low-calorie. Some of these commercially packaged foods are loaded with added sugar, carbs, and ingredients that most people cannot even pronounce – and they contain more calories than the products that contain gluten. When people without celiac are avoiding gluten without good reason, it isn’t going to come with health benefits because most likely they are also cutting out foods that contain other vital nutrients like B vitamins and fiber. Other studies show avoiding gluten may kill off gut bacteria that defend against weight gain. 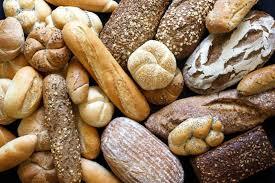 Think you may have celiac disease? The classic symptom is diarrhea; other symptoms can include bloating, gas, fatigue, headaches, weight loss, and a full range of others depending on the individual. The process of being diagnosed is not so simple. You could have gene testing to see if you carry the gene, or blood tests to see if you have certain antibodies. Most likely the best way to diagnose celiac is an endoscopy / colonoscopy where biopsies can be taken to see if damage has been done to the intestines. Bottom line, is don’t ditch the gluten unless you’ve got a medical reason to do so, it may not be so great for your waistline, or your overall health. In December, I did a newsletter all about gifts that give back – but did you know that people need donations past the holidays? We are now well into 2017 and food banks need help past Thanksgiving and Christmas. 13% of United States households did not have enough to eat last year – that means, you can give year round to make a difference in another family’s life. Next time you go through your pantry to give your expired soups and pasta to the latest school food drive, why not take a different approach? 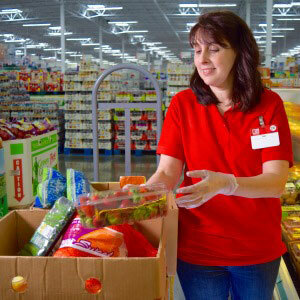 People in need also need healthy food. On your next shopping trip, spend an extra $5 – $10 on whole-wheat pasta or whole oats, canned produce or canned salmon or tuna. Drop them off at the next food drive, or at a local food bank. These not only all have a long shelf-life but will provide nutrition and nourishment a family in need. If you are unsure of where there is a local food bank in your area, search Feeding America’s database online by clicking here. 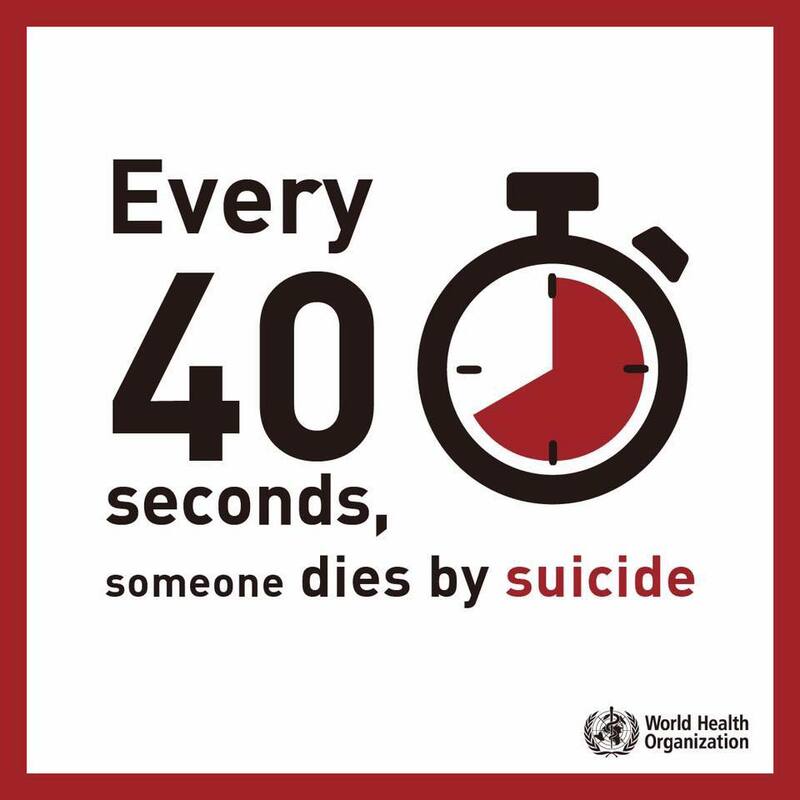 World Health Day was April 7th and this year the WHO has a focus on spreading awareness regarding depression. Just because it isn’t “World Health Day” anymore, that doesn’t mean we stop caring about our health or the health and well being of others. I feel like mental and emotional health is just as important as our physical and nutritional health. If we don’t take care of our minds, our bodies cannot be fully healthy. The theme “Depression: let’s talk” recognizes that depression is a treatable condition and seeks to address the fact that, despite this, about 50% of cases of major depression still go untreated. This is significant since many people don’t see the signs of depression in their loved ones until it’s too late. For people living with depression, talking about it can be the first step towards recovery. If you feel that you may be suffering with depression, talk to someone; there is hope! If you feel you may know someone suffering from depression, there are signs you may not be aware of and ways you can help them. The WHO has information that could be helpful to you or a loved one. This doesn’t have to be a one-day event. Share the information you learn; you can visit their website for more information on this important topic. Click here for more. Can you believe Easter is this week? On April 16th many families will be gathering together for their traditions of egg hunts, Church services, sunrise masses, family lunches and outreaches around the globe. 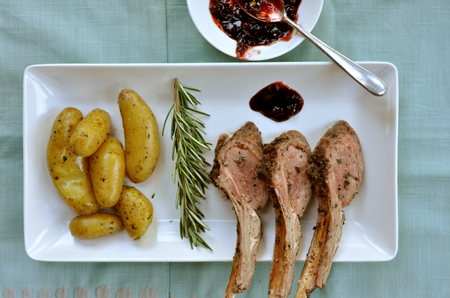 One of my favorite recipes to have for Easter is my Herb Crusted Rack of Lamb with Acai Berry Sauce. I hope you find it just as flavorful and special as your Easter celebration this year. Step 2 – Remove the fat from the top side of the bones by keeping the knife blade flush with the bone and follow the contour of the bone. Step 3 – Trim the fat from between the ribs and scrape the bones clean for an elegant final presentation. Step 4 – Combine oregano, parsley, thyme, Dijon, garlic and one tablespoon of vinegar in a bowl. Next sprinkle lamb with salt and pepper. Step 5 – Heat a large oven proof skillet over medium heat. Coat pan with cooking spray. Step 6 – Cook lamb for 2 minutes on each side or until lightly browned. Step 7 – Place lamb on a cutting board and pat herb mixture over lamb. Return lamb to pan and place into the oven. Step 8 – Bake at 400° for 10-15 minutes or until a thermometer registers 138°. Step 9 – Remove lamb from pan and let cool for about 10 minutes. Carefully cut into chops. Step 10 – Return pan to medium heat; add remaining vinegar, port and shallots. Step 11 – Bring to a boil and reduce by half. Stir in broth and reduce again. Step 12 – Add salt, pepper acai berry juice and reduce by half. Step 13 – Add butter and stir until butter is melted. Serve sauce with lamb. While you are cooking an elegant meal for the family to enjoy, don’t forget to add some colors and fun. I found this super easy and festive recipe for Naturally Dyed Picked Easter Eggs (pictured above in the featured image) on Epicurious.com the other day. They are not only delicious, but you can use them for a bright, beautiful [and edible!] centerpiece for Easter! You can find the recipe online by clicking here.